My niece Hayley came over to do some cooking the other day. 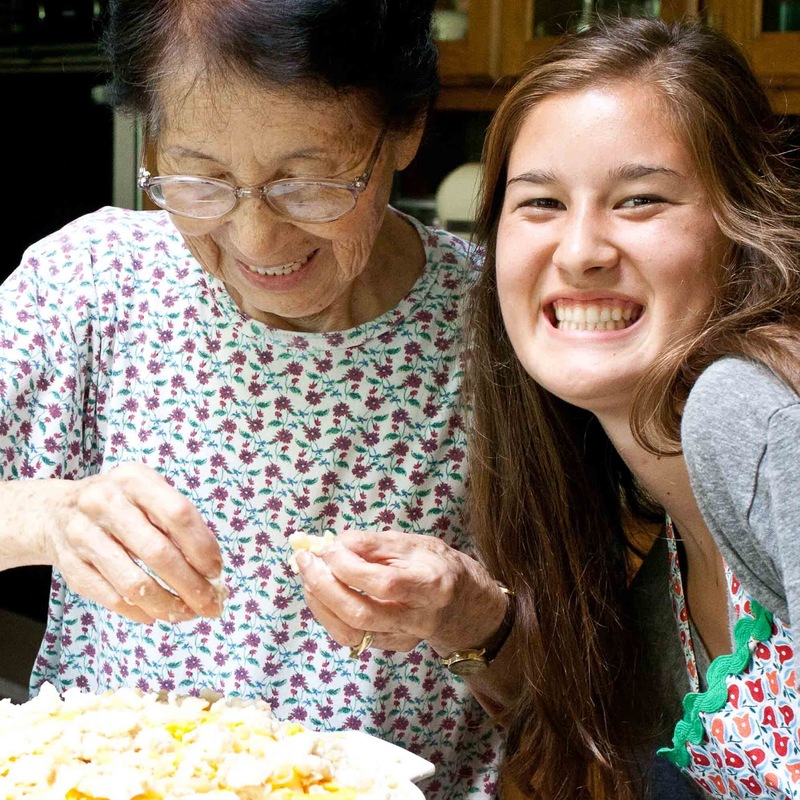 One of the dishes she made was Bachan's Cheese Macaroni. Grandmother is O-Baachan in Japanese and my mother-in-law is known as Bachan in our family. Cheese Macaroni is her signature dish. All the Fujimotos love Bachan's Cheese Macaroni. We found out the story of how Bachan learned how to make this dish--something we didn't know--and I'll be sharing that, too. I'm working on putting the post together along with some video--it will be up later this week, so stay tuned! Woow! Yummy Recipes I really love this recipe, and your pictures too keep doing.